When it comes to rustic luxury, this intimate beachfront retreat on Thailand's pristine Koh Samui island sets the standard. Picture a Robinsoe Crusoe with a penchant for rustic minimalism and a top-notch spa and you’ll understand what this luxury beachfront bolthole is all about. 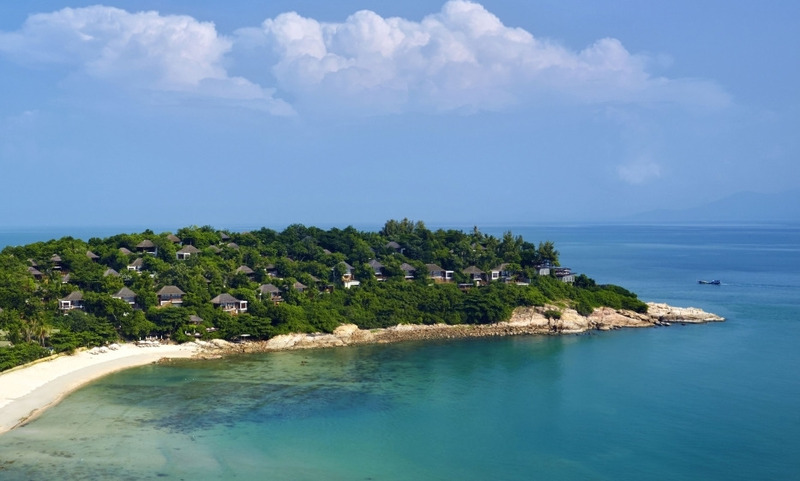 Each of the resort’s 66 villas lie along a rugged promontory overlooking the Gulf of Thailand. A million miles from anywhere, the setting of these romantic bamboo villas is spellbinding with floor-to-ceiling windows, which frame the views of the ocean, and retractable walls which let plenty of the crisp sea breeze in. For the sporty types, Muay Thai classes, fitness boot camps, snorkelling, and plenty of other activities make the most of Koh Samui’s dramatic landscape. But, if only R&R is on the agenda, there’s the Six Senses Samui Spa where treatments are aimed at addressing what your body needs the most while glorious outlooks over the Gulf of Thailand, in all its turquoise splendor, feed the eyes and soul. This is Thailand like seen on postcards. 52 of the villas have private infinity-edged swimming pools that blend into the horizon. Two herbal gardens at Heart of House and The pool. Dining on the Rocks, the award-winning restaurant offering New Asian Cuisine with a panoramic view.